Adapting comics into animation involves taking images which, at most, hint at or represent motion, and filling in more of the gaps that or imagination would have otherwise. While how faithfully an animated work tries to adhere to its comic can vary, I’ve noticed that even those that try to follow the source material can at times “over-animate,” providing what is perhaps too much flair and thus changing the overall fee of a given title. Over-animating isn’t an established terms by any means, but they’re convenient for my purpose. The way I’m defining it is the degree to which added material not found in the original can make a given scene feel noticeably different. This is often done by taking the source material and then exaggerating what’s there, either through the sense of motion or by adding additional elements. Think of it as the opposite of those times when a show fails to capture the splendor of a good fight scene from a manga—when it comes to over-animating, the spectacle can potentially wind up either being a distraction or changing how we even think of particular characters or moments. Three examples come to mind in this respect: Mysterious GIrlfriend X, Dagashi Kashi, and Laid-Back Camp. Mysterious Girlfriend X, about a boyfriend and girlfriend who literally swap spit. Whereas the manga portrays saliva as a simple white, the anime drool glistens and drips like honey, giving it an extra dimension that makes it feel less ethereal compared to the original. When I read the manga, the saliva seems like a means to an end. In contrast, the anime seems hyper-focused on that particular fetish. Dagashi Kashi is similar. While both comic and cartoon feature attractive female characters and a degree of titillation, the first season takes it one step further every time. Suggestive moments like eating tube-shaped snacks called fugashi while blindfolded are exaggerated by the addition of a massive, super-sized version. A flashback featuring kids playing doctor as a way for the character Saya to get closer to the boy she likes has an accidental chest-touching scene thrown in. The manga is fairly racy, but the anime is hyper-horny. Unlike the other two, my use of Laid-Back Camp (aka Yurucamp) has nothing to do with perversion. Instead, it has to do with how the character Nadeshiko is made to be extra ditzy compared to the manga. At one point, Nadeshiko notices her new friend Rin, only to run into a window like a bird not knowing how glass works. This isn’t especially different from how Nadeshiko is portrayed in the manga, but it’s almost not quite the same either. She’s not especially bright and she’s ruled to a large degree by her instincts, but Nadeshiko is never quite so dumb as to literally run into glass. While I have my own preferences, it’s not as if I’m saying that sticking faithfully to the manga should be the way to go all the time. 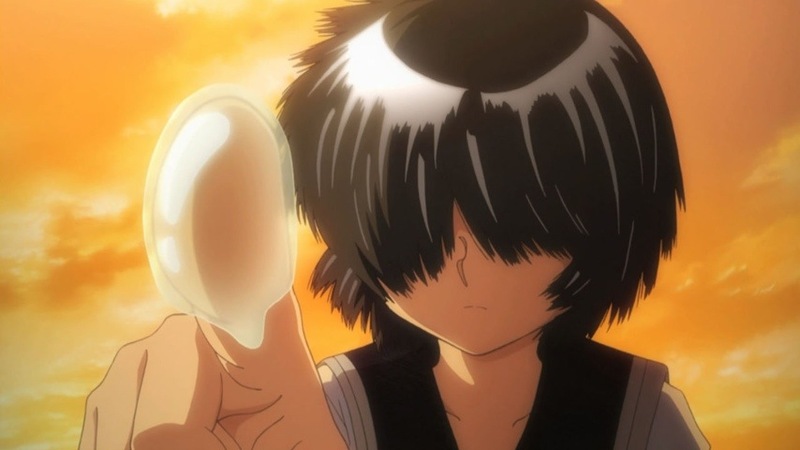 The drool of Mysterious Girlfriend X might resonates more with fans if it’s thick and viscuous. The girls of Dagashi Kashi might make a greater impact when the suggestiveness is turned up a couple (dozen) notches. 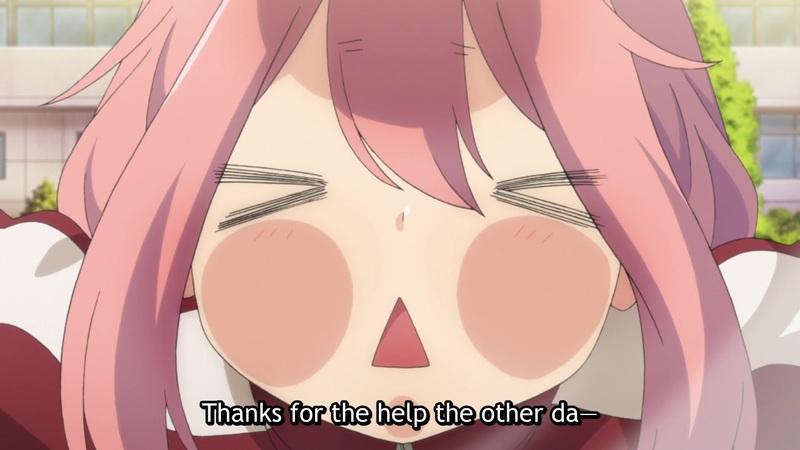 And perhaps Nadeshiko being a little dimmer makes her a more endearing and humorous character. Even so, I want to emphasize how these changes can transform how we view a title and its characters, despite having so many similarities between versions. It’s the little things that can make all the difference.